If you imagine what India looks like, chances are you will picture two things. The Taj Mahal (of course) and the organized chaos of the Indian roads. 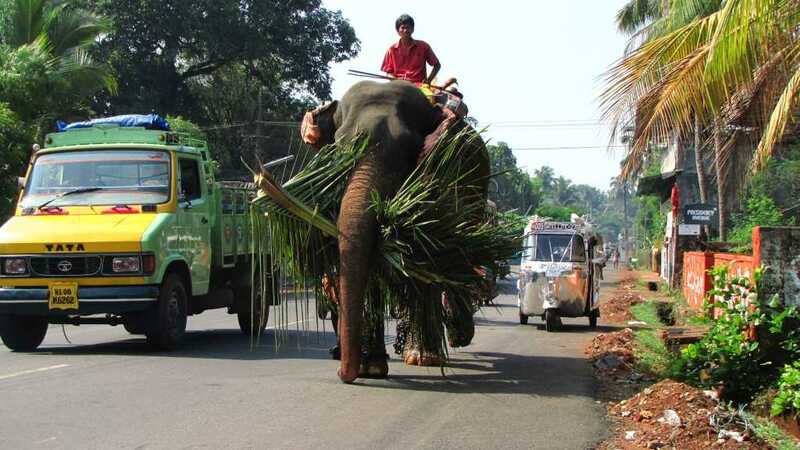 In most cities large and small, people, cows, bicycles, cars, elephants, trucks and scooters all coexist in a transportation ecosystem that has managed to work despite its complexity. 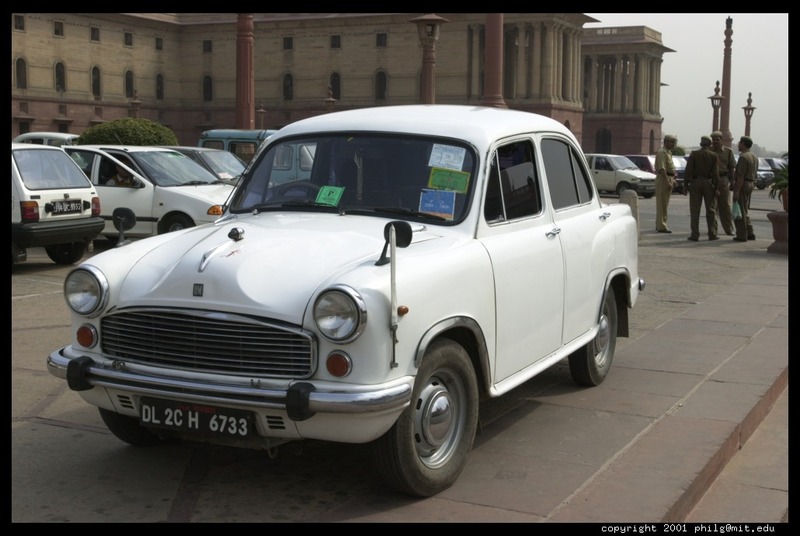 People communicate by honking their horns or flashing their lights. 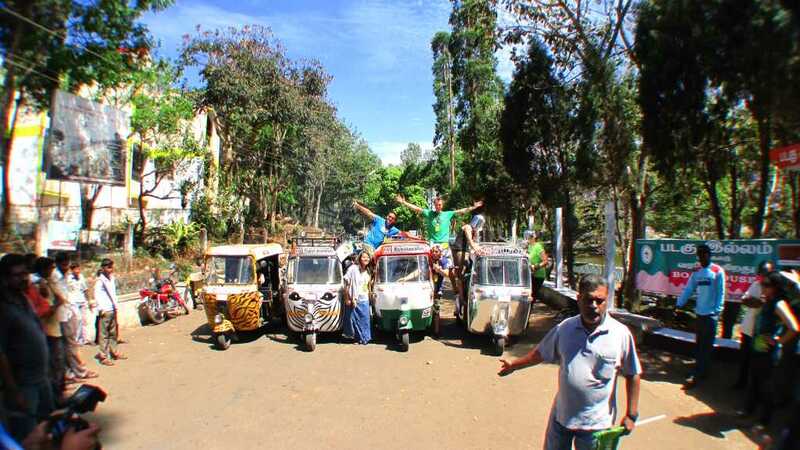 Cars like the Ambassador are routinely patched up or completely rebuilt and last for decades and in the midst of this bumper to bumper jumble is a vehicle that may be the most iconic of those on the Indian roads … the three wheeled rickshaw. 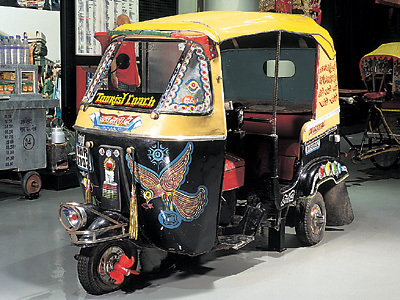 Part scooter and part taxicab, the majority of these rickshaws are actually used as lower cost taxis – navigating their way through tight openings and rapidly transporting people from one point to another. For the last five years, these rickshaws have become more than just a mini-sized taxicab … for some adventurous travelers they are the ticket to one of the most unique holiday experiences you can have in India. By racing in a rickshaw you have to slow down, after all the top vehicle speed is 80 kmh or 50 mph. (Way faster than any of the local wildlife, FYI.) This way you’re forced into enjoying the adventure: from the awesome views to the local people and fellow racers. This type of holiday is definitely not for everyone – but it does demonstrate a useful and important marketing lesson about creativity and ultimately word of mouth too. This is the type of vacation that people who participate (and even those who don't) will talk about for a long time to come. It is uniquely Indian and something no one else could offer. That's the way to market a destination for tourism, but an important lesson for any other industry as well. If you can create something unique enough, people won't be able to help sharing it with others. 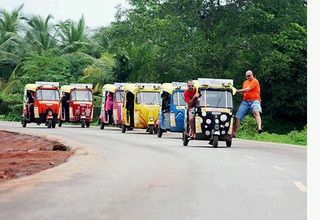 NOTE: Thanks to Arun Rajagopal for spotting and sharing this with me.